Only Afternoon Session Tickets Remaining! 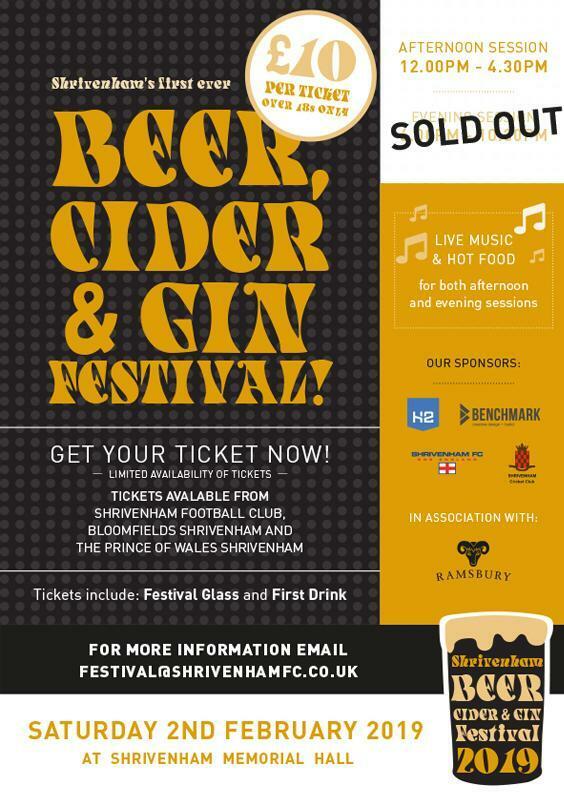 Shrivenham Football Club is delighted to announce that tickets for the Evening Session of our Beer, Cider & Gin Festival are now SOLD OUT! There will also be a large selection of Gins available courtesy of our Gin Bar.